Four Tiger basketball players who transferred to Memphis in 2017 will be saluted this Saturday at FedExForum, and rightfully so. 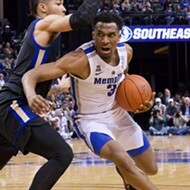 But with due respect to Kareem Brewton Jr., Kyvon Davenport, Mike Parks Jr., and Raynere Thornton, let's call this year's Senior Day what it should be called: Jeremiah Martin Day in Memphis. 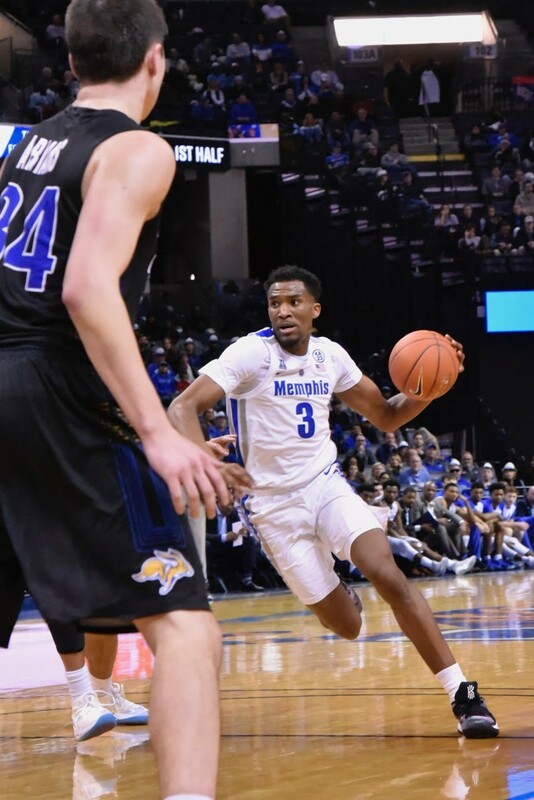 A Tiger who averaged 2.7 points (and 13.8 minutes) per game as a freshman will likely finish his career among the top ten scorers in Memphis history and 10th in assists. 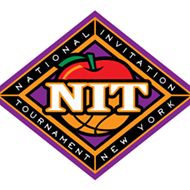 There are precisely two other players over a century of Tiger basketball who rank as highly in both categories: Elliot Perry and Joe Jackson. Last month, the pride of Mitchell High School became the first Tiger to score 40 points in two games in a career (and he came three points shy of doing it a third time). A player who seemed misplaced upon his arrival will leave the program among the most memorable of all time. "It's been a journey," emphasizes Martin, "but it's been great, no regrets. No looking back." 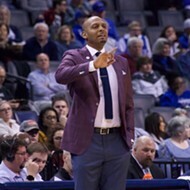 Martin's journey has included time with three different head coaches: Josh Pastner his freshman season, two years with Tubby Smith, and this season under Penny Hardaway. His first practice was at the Larry Finch Center. His last will be at the extravagant Laurie-Walton Family Basketball Center. "It's a different program," says Martin. "Every coach has different philosophies. My first year was a struggle, the transition from high school. Coach Pastner was always on me about playing hard, making myself fit in. I was turned into a full-time point guard; that was one of the hardest parts. Coach Smith was about doing everything the right way. And Coach Hardaway shows us how to be a pro. He and the entire staff emphasize how to be a professional." Few players in Memphis history personify the concept of development at the college level like Martin. 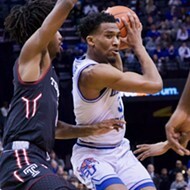 After stumbling as a freshman, Martin took command of the Tiger offense as a sophomore, handing out more than twice as many assists (142) as turnovers (63), then earned second-team all-conference honors in 2018 when he finished second in the American Athletic Conference in scoring (18.9 points per game). He recovered from a foot injury that ended his junior season and today represents his team's only real chance to win the AAC tournament and capture a prize that's eluded him to this point: an NCAA tournament berth. "The one thing I didn't know he could do is score in volume," says Hardaway. "He averaged 19 points last year, but to score 40 in a half [as Martin did at USF]? To catch fire and catch rhythm like that? That's amazing; he's amazed me this year." Martin's not at ease discussing his skill set, but acknowledges an improved jump shot magnified his threat on the offensive end. And then there's confidence, the intangible that tends to grow exponentially when a player spends four years in college. "I can play at my own pace," says Martin. "I can get players — on offense or defense — to play at my pace. I can speed them up, or change speeds. I didn't envision myself being the same player I was last year. It comes with putting in the work." Martin counts Faragi Phillips, his coach at Mitchell (and currently the coach at Whitehaven High School), among those who've made the greatest impact on his rise as a player and person. 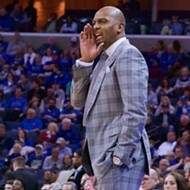 He remains Memphis to the deepest part of his core, a connection he's relished this winter as the city has come to appreciate and celebrate his remarkable play. "I could've left," says Martin, "but I was loyal to the city, even more than the coaches. I love this city. I get to be with my family." With a one-year-old daughter, Martin has all the more reason to play near home, but he's prepared for what's next, wherever "next" may be. "I want to play in the NBA," he says. "That's my dream, what drives me. That should be everybody's ultimate goal at this level. I want to be there, long term." Whether or not his name gets called in June's draft, Martin intends to play professionally, if not in the NBA, perhaps the G League or overseas. But for now, there are a few more games in blue and gray. Jeremiah Martin will finish his Tiger career as living proof that some stars shine brightest when not born, but made.